County Durham businesses that are keen to showcase their products and services to potential new customers are being recruited for the second phase of a support programme. 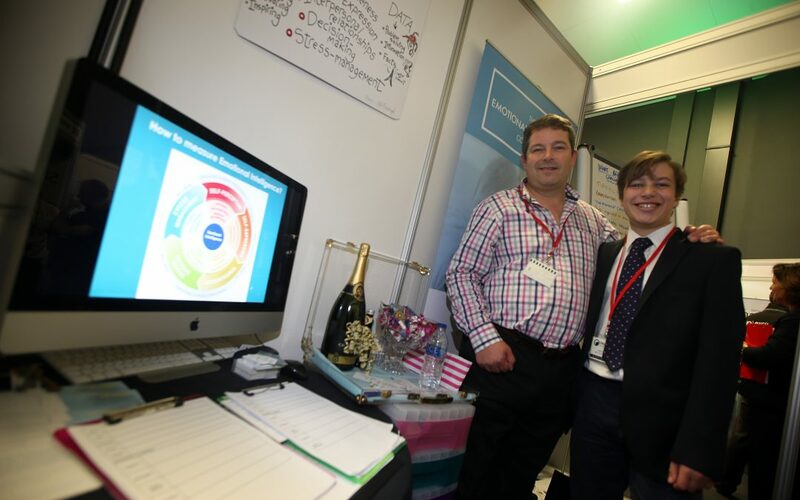 Last year saw the launch of the inaugural Incubator Zone programme at Durham Oktoberfest. And this year, as the event prepares for major changes to reflect its growth over the last decade, micro and small companies who could be eligible to take part are being sought. Organisers of Durham Oktoberfest, County Durham Engineering and Manufacturing Network (CDEMN), have once again teamed up with Business Durham’s Durham Business Opportunities Programme (DBOP), with European Regional Development Fund (ERDF) funding, to offer companies a mini exhibitor package which they hope will open the expo up to those companies who don’t have big marketing budgets or the resources to exhibit at an event like this. The package means they can have a presence within the show with the added bonus of support provided to help prepare them for the exhibition and marketing materials such as banner stands and flyers designed and printed if they need them. David Land is Chairman of CDEMN. He said: “The first Incubator Zone, held at last year’s event, was an overwhelming success with many of the 21 companies who took part winning work as a result. “The programme helped us address the balance as far as attracting micro and small businesses to exhibit, and also backs up what we’ve been saying, which is that the event is as much for companies at the smaller end of the supply chain as those bigger businesses. Lisa Wall is Business Engagement Officer with DBOP. She said: “This is the perfect opportunity for companies to take part in Oktoberfest without the pressure of significant costs which are often attached to exhibiting at big events. “And, as we know from those companies who exhibited last year, it also gives participants the chance to forge real business links which can and do lead to sizeable contracts. One business which took part in the 2017 Incubator Zone programme was Newton Aycliffe-based The Emotional Intelligence Company, who had such a positive experience that they’ve already signed up as a fully-fledged exhibitor this year. Gary Hosey, founder and owner, said: “Our team at The Emotional Intelligence Company was over the moon with the 100 plus new contacts we got from Oktoberfest 2017. This, coupled with reconnecting with companies we’d had previous contact with, has meant we’ve had several meetings and resulted in a number of proposals to deliver work to new clients. The Incubator Zone programme is being delivered by the DBOP team working in partnership with LEC Communications and Design. The event returns on Thursday, October 18. For updates, or to book as an exhibitor, visit durhamoktoberfest.org.uk.